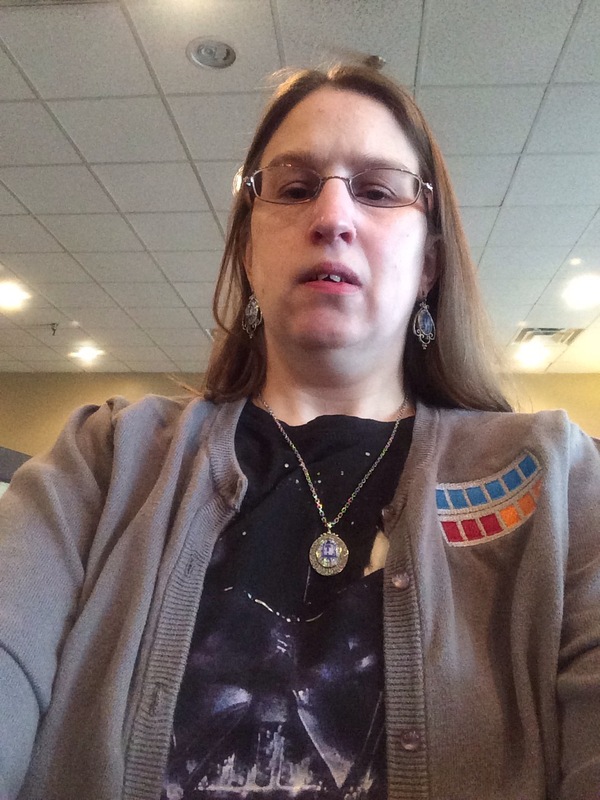 This selfie shows three of my favorite Her Universe pieces to wear to the office. The My Hero R2-D2 necklace, My Hero R2-D2 earrings, Empire Strikes Back Poster Tee and the High Commander Imperial Cardigan. I complete the look by pairing it with a simple black skirt as seen in this picture my hubby took. The other Her Universe Fangirl fashion pieces that I love to wear to the office is the Red Dalek A-Line Dress, which many people in the office call my lady bug dress. I pair this with the Union Jack Doctor Who Cardigan, which many of my co-workers believe is just a symbol of my love for England. That is only partially true, right? 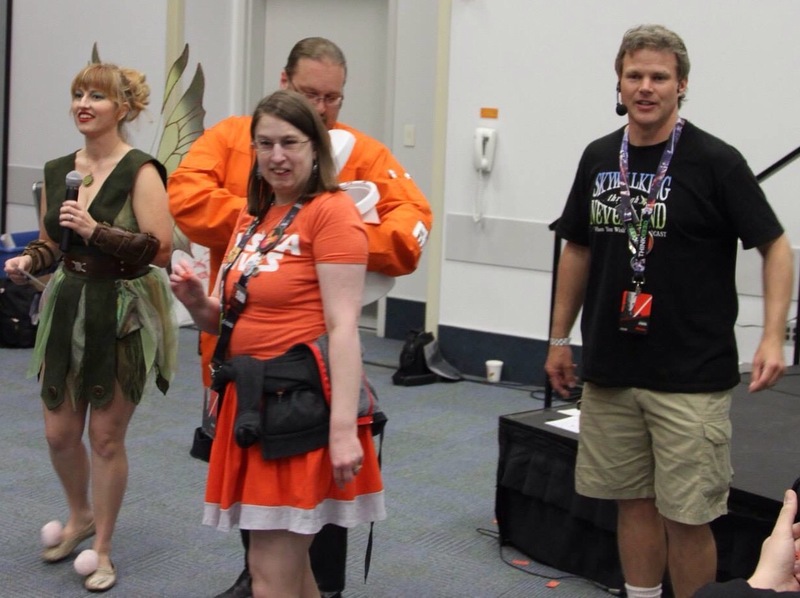 When I am having fun, like I did at the Skywalking Through Neverland live podcast at Star Wars Celebration Anaheim, I usually pair my fun cosplay dresses with parry rival gear. 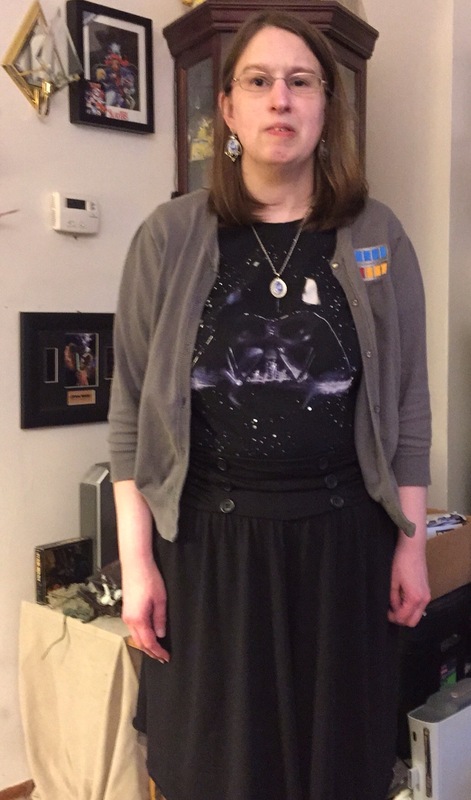 As you can see from the picture above, I wore the Rebel Squadron X-Wing Dress with the Ahsoka Lives T-Shirt, in honor of #AhsokaLives day, and the Nerdist Ultimate Con Hoodie, which does indeed have some awesome pockets! 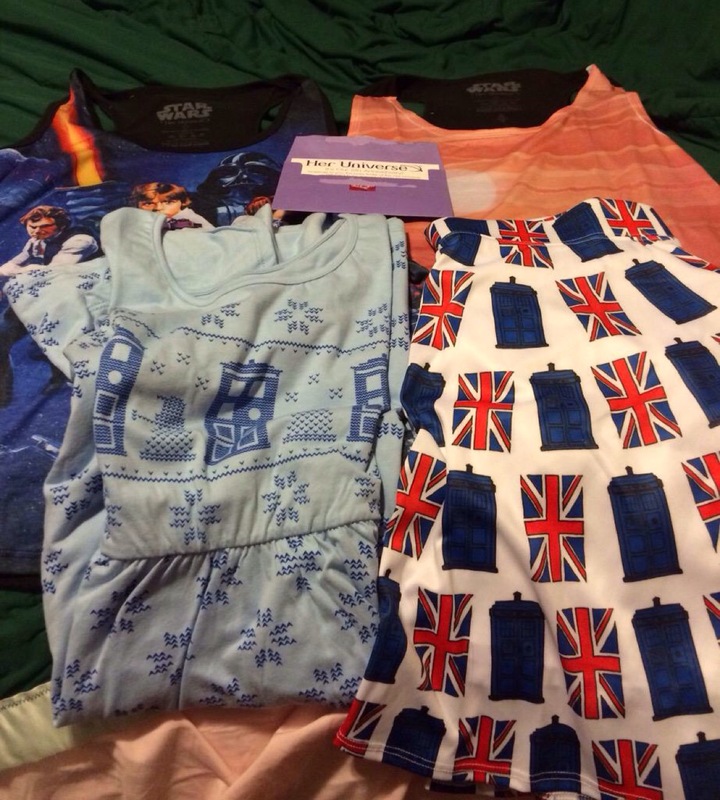 As you can see thanks to my husband, I have more Her Universe Fangirl fashion to wear! 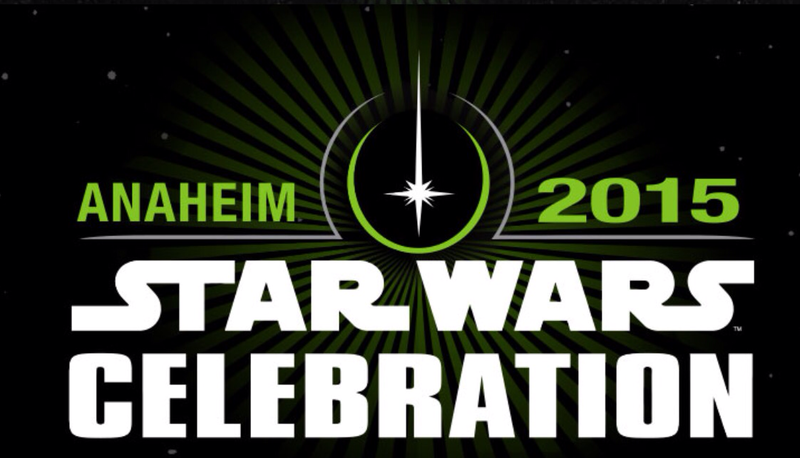 I cannot wait to find out what other pieces are coming out in the future, especially those related to Star Wars Rebels, Star Wars The Force Awakens and Doctor Who! So what are some of your favorite Her Universe pieces? 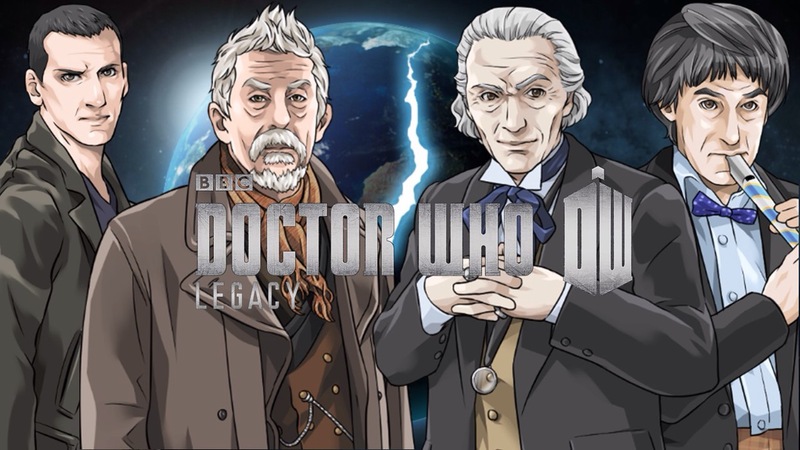 I decided to share the review I posted today at the Apple App Store for my favorite game Doctor Who: Legacy for iOS devices. I have been playing this free game for over a year and it is the only game that lets me play without requiring me to pay anything unless I really want to! However, I like many others support this great game by paying a small amount to unlock the Fan Area. This purchase was well worth it because it give you access to levels that help level up characters so you can get to the next level. Also, you can se where your money is going because these guys are always adding new levels, characters and freebies. 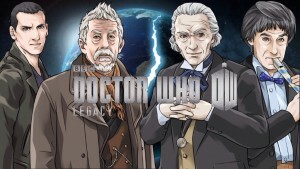 If you are a Doctor Who fan this game is a must! Cannot wait to see what comes next! You can find out more by visiting the developers website or by visiting the Apple App Store. 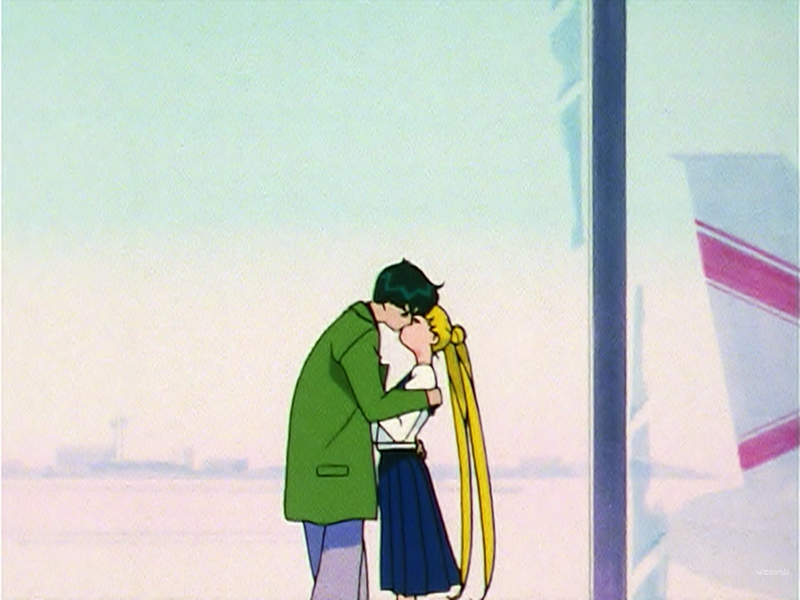 My husband and I cannot believe that this series is only six episodes. However, we plan on watching each one the week it airs! 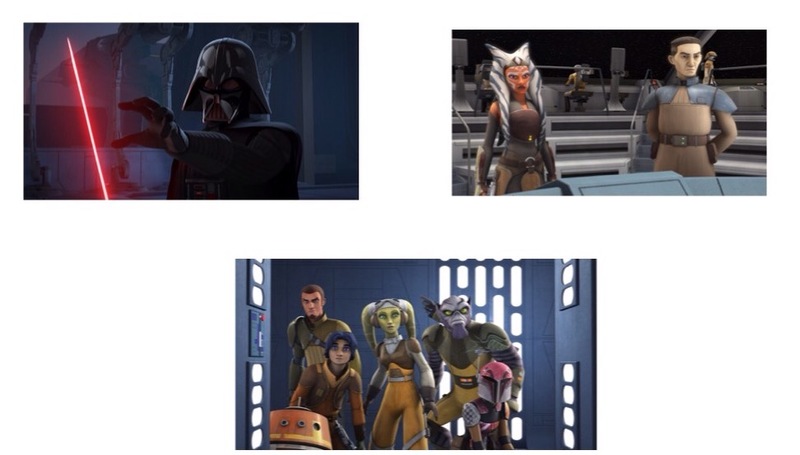 I love all the characters, especially Hera and Sabine. 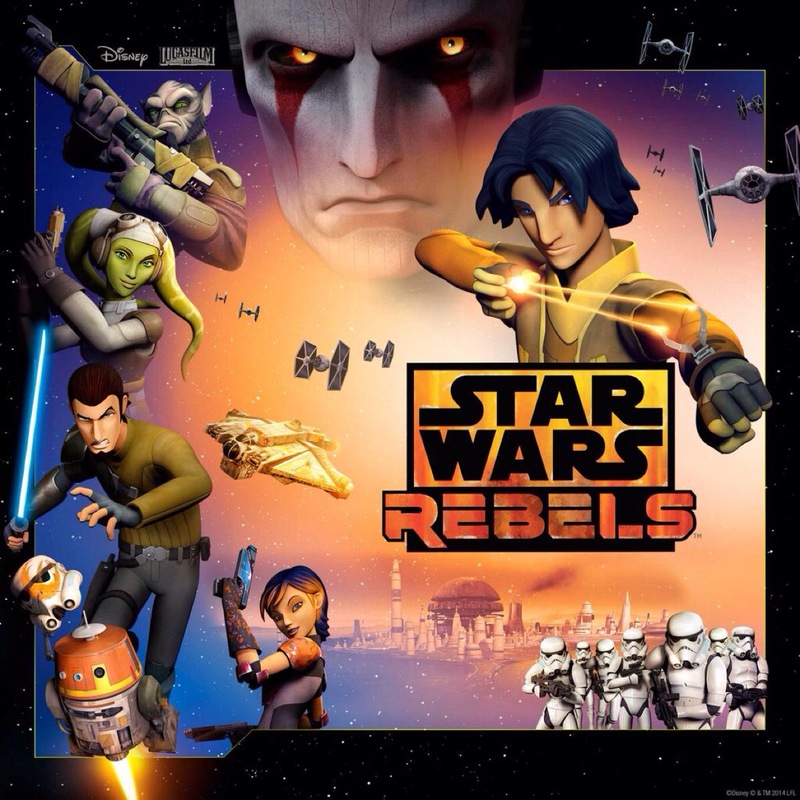 I am very curious to see how their adventures tie into the entire Star Wars Saga, especially during the last half of Season 1 and of course the beginning of Season 2. You are probably not surprised by this one. 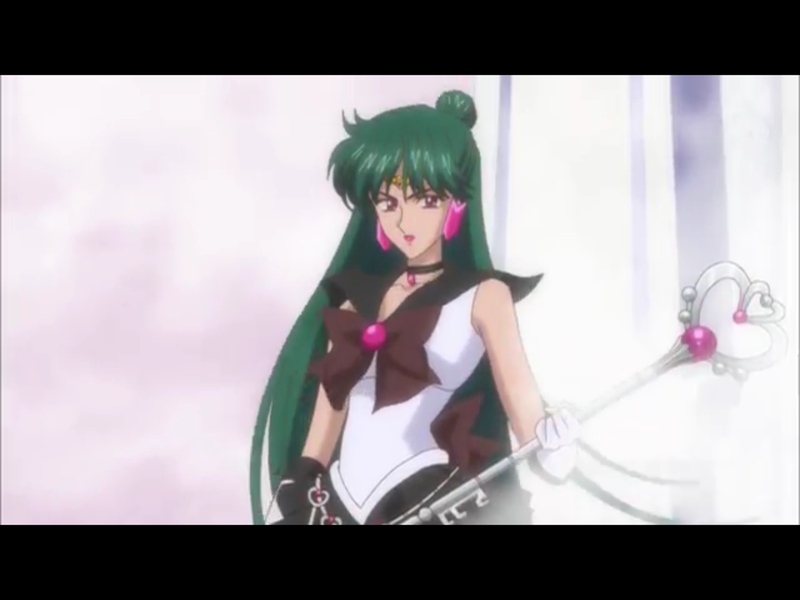 However, you probably did not know that I plan to take a day off from work to see this, right? 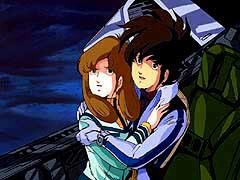 I cannot wait to see this arc in all it’s glory. 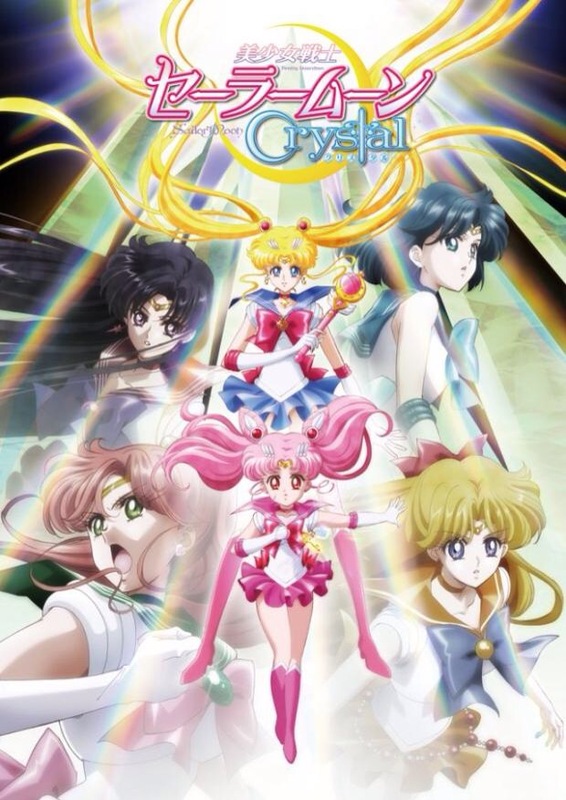 And of course the trailer for Sailor Moon Crystal gave us a glimpse of how glorious this arc looks! 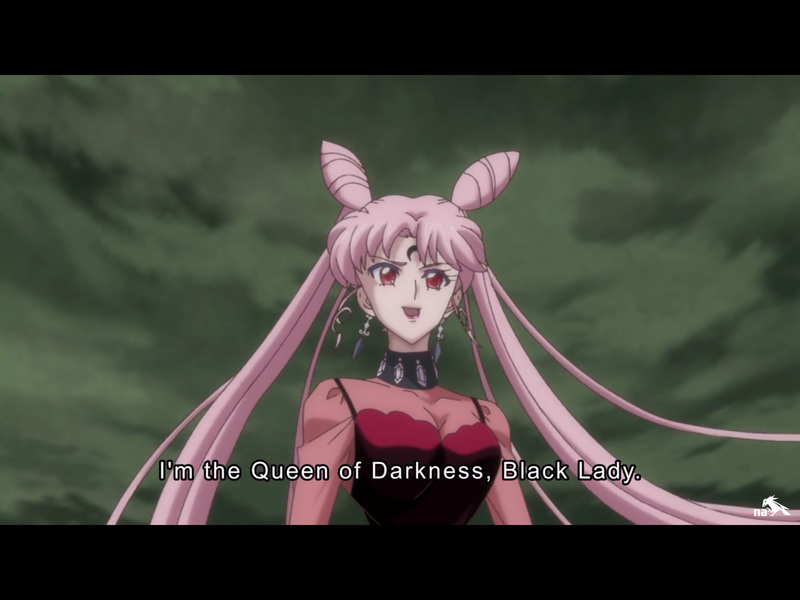 In reference to the new dub for Sailor Moon R and S is who will voice Chibiusa and the Outer Sailor Scouts, especially Sailor Pluto! 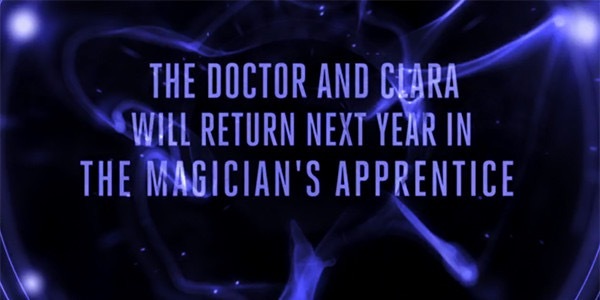 I am excited to see more adventures with Clara and The Twelfth Doctor! 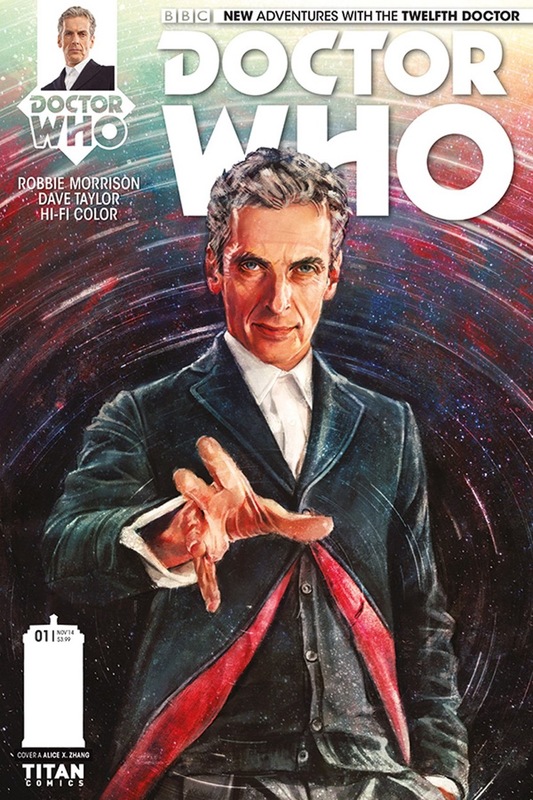 I did not pick up any of the new Doctor Who comics published by Titan in 2014. Therefore, in 2015 I have every issue released so far and new issues to look forward to. 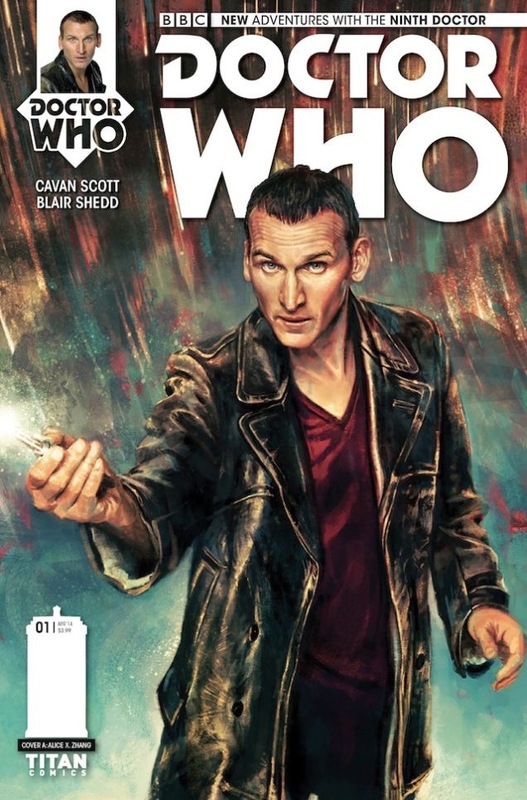 I am especially excited for the just announced comic stories with additional adventures with Rose Tyler, Captain Jack Harkness and The Ninth Doctor! 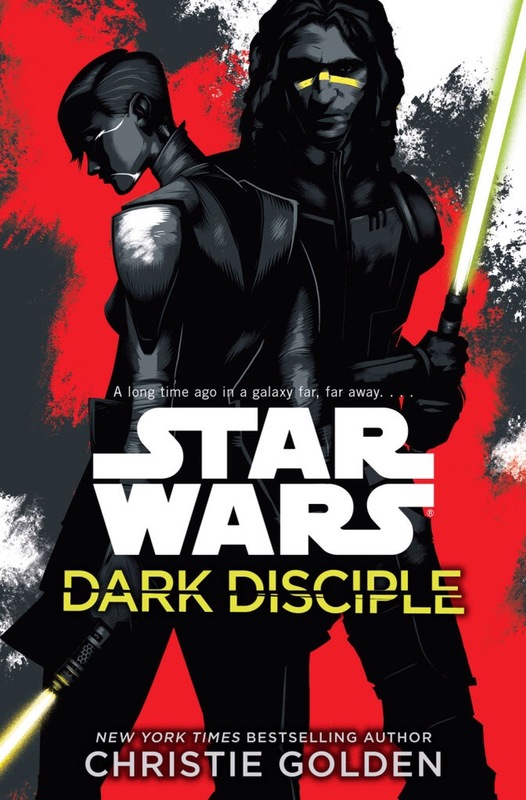 A book with Asajj Ventress and the unorthodox Jedi Quinlan Vos in it? This has the makings of one crazy adventure story! 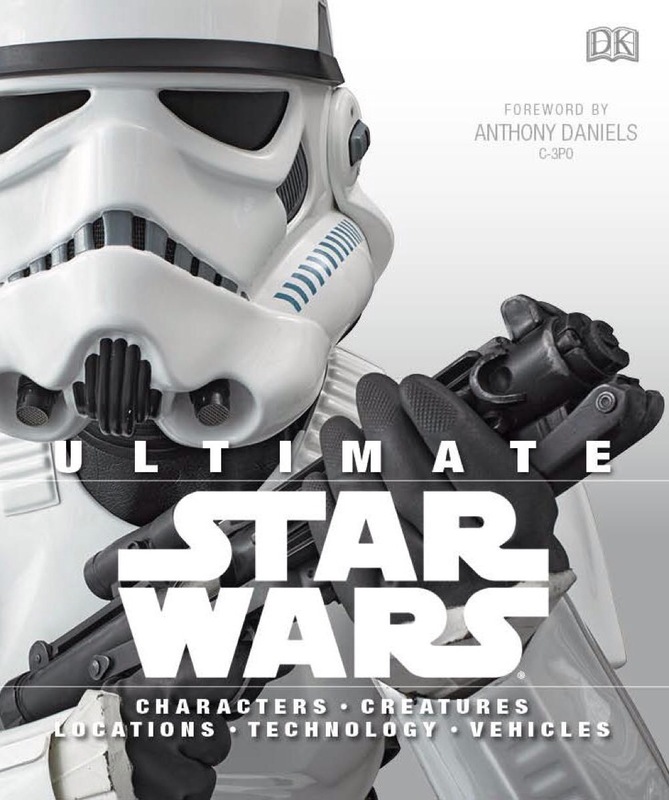 I just love Star War Reference books that covers many aspects of the saga. However, I usually do not look forward to them before they come out. 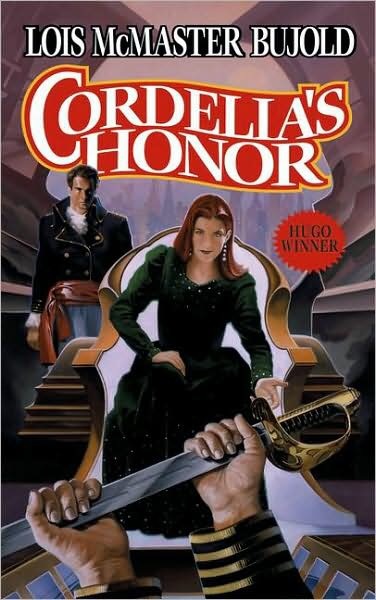 This one is an exception because portions of the book are written by fellow Fangirl and friend Tricia Barr. I just had to place my pre-order on Barnes and Noble for this! 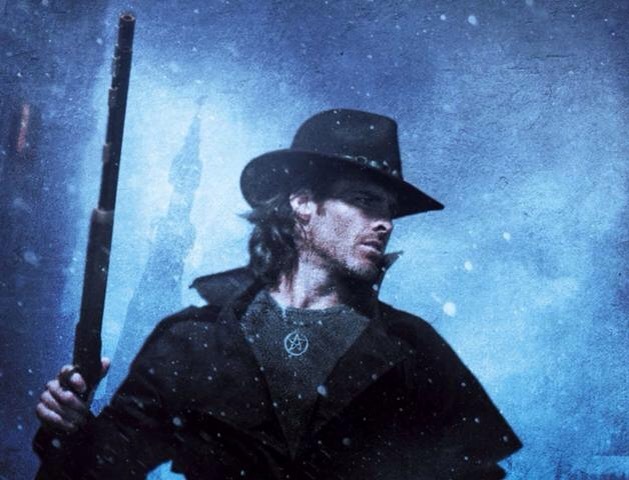 I have no information on what the plot is or what the cover looks like, but every Harry Dresden audiobook is a MUST buy for my husband and I as soon as it is released! This is my neighborhood comic con and has always been a good time and I am looking forward to see which guests I will meet this year! 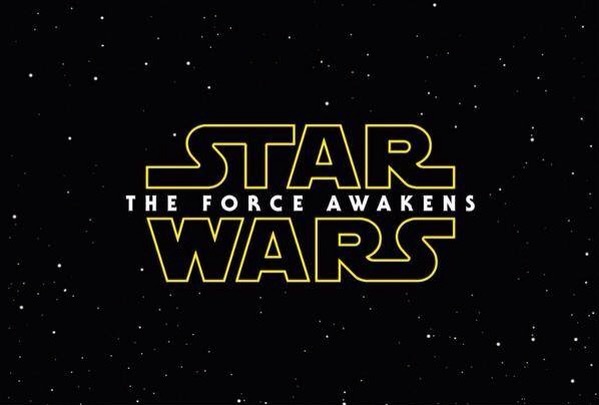 So what are you looking forward to in 2015? Did any of yours match mine or is there something on yours that I should add? Doctor Who Marathons up to the Anniversary on channels like BBC America. The ‘Night of the Doctor‘ mini episode starring the 8th Doctor, Paul McGann. 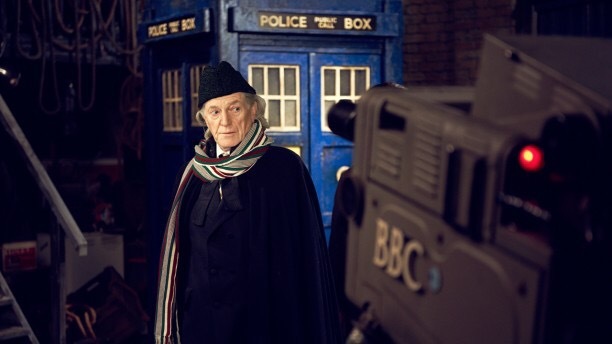 The amazing docudrama ‘An Adventure in Space and Time‘ about the origins of Doctor Who! 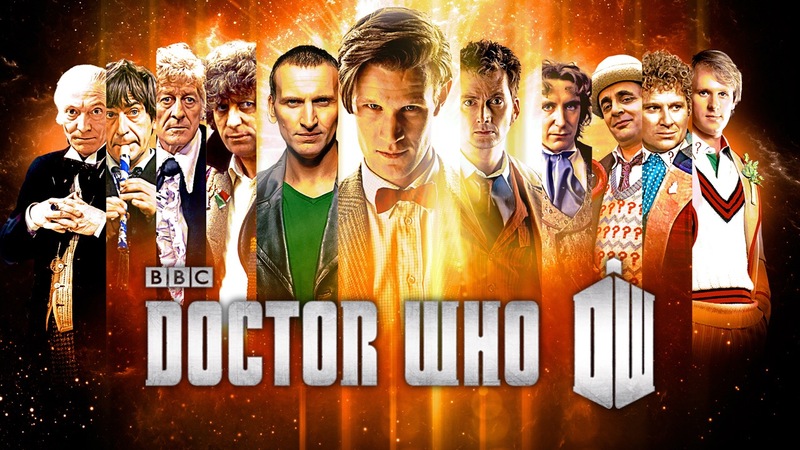 And of course the record breaking and ultimate fan experience of the 50th Anniversary special ‘The Day of the Doctor’! 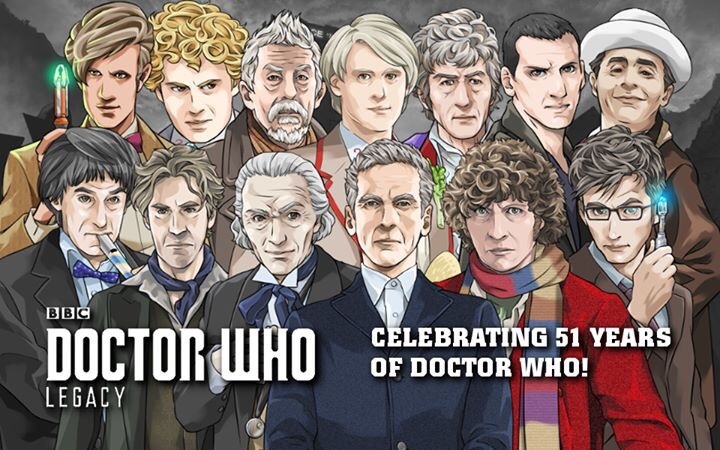 So this year, you can still celebrate the 51st Anniversary by watching all of these again or the first time, now that all of these are available on many streaming outlets like Netflix or Hulu or on Blu-Ray or DVD that can be bought at the BBC America shop and other retailers. 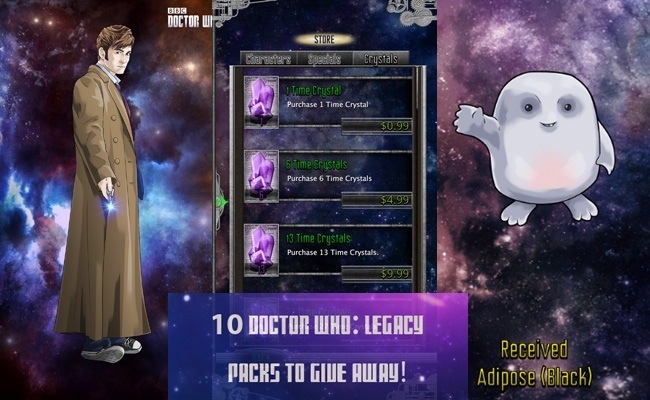 You could also celebrate by downloading and playing my favorite free to play mobile game, Doctor Who Legacy! 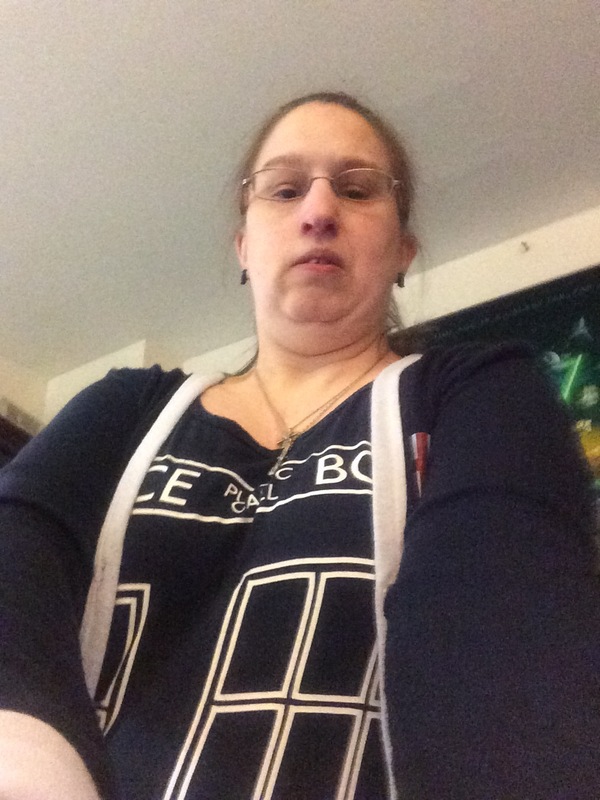 I am dressed in my TARDIS dress and Cardigan from @heruniverse! I posted about this parody video created by The Hillywoods Show when it was first released over two months ago. Even though it has been that long, it just keeps getting better and better with each time I view it. I cannot be the only one that thinks so because this video now has over 1.5 MILLION views! That’s Amazing! Therefore, I just had to post about it again with some new comments. Basically, the creators Hilly and Hanna Hindi along with the rest of their team did a fantastic job! The props, costumes, actors, script and sets were amazing and captured the look and feel of Doctor Who brilliantly. 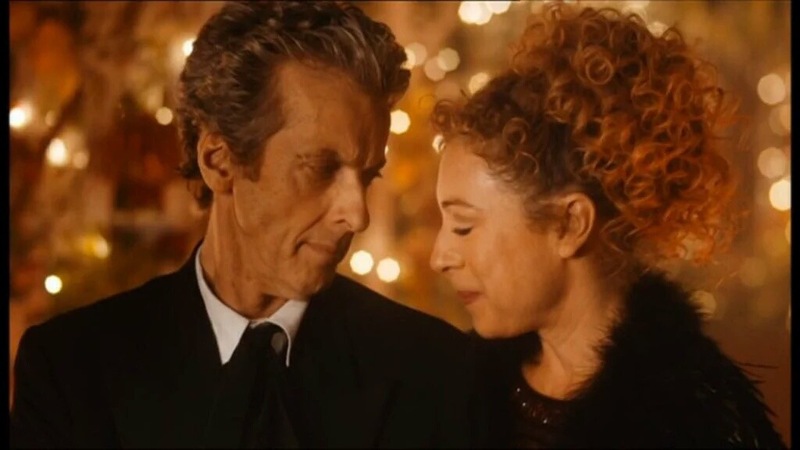 For instance, I recently re-watched that scene from ‘Partners In Crime’, which is one of the funniest scenes in Doctor Who that I have watched so far and this video captures that moment brilliantly! These two ladies are the ultimate Fangirls and I congratulate them on their fine display of talent and effort! You Ladies Rock! For more on the whole process check out the following behind the scenes video, like I did! That really did sound and look like David Tennant’s Doctor! I loved that scene from Doomsday mixed with this! That really felt like the TARDIS to me! Basically, the creators Hilly and Hanna Hindi along with the rest of their team did a fantastic job! 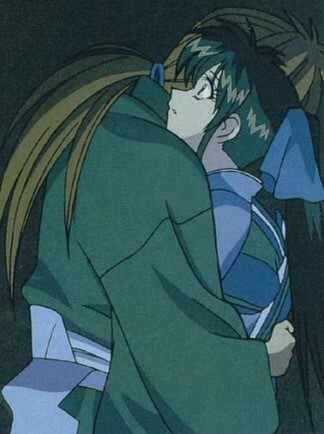 However, do not just take my word for it. There are several publications that support my opinion! Some of the highlights of the hard work include the portrayal of the various characters, particular The Doctor and his assistant Donna Nobel, originally played by British comedian Catherine Tate. Hilly and Hannah Hindy get the perfect facial expressions that will leave fans smiling as they remember the exact scenes from the original show. 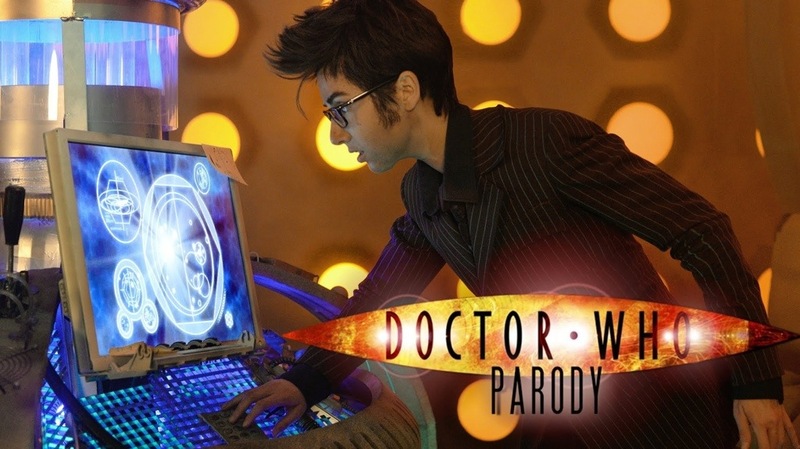 awesome song and dance parody of the Tenth Doctor doing the Time Warp. That Season 8 fan trailer was pretty fantastic, but this new video blows it out of the water in terms of fun. What happens when you cross “Doctor Who” and “The Rocky Horror Show”? David Tennant’s Doctor doing the “Time Warp,” of course. 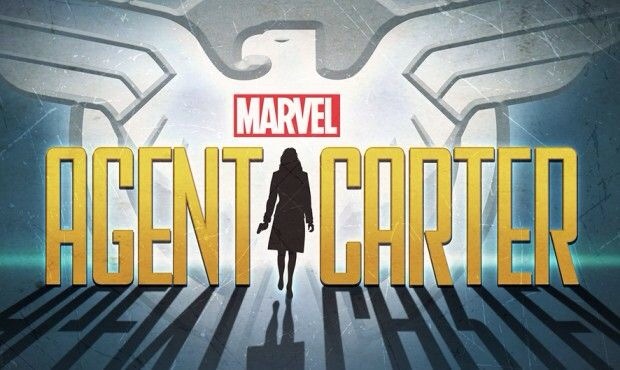 And of course it all looks awesome, from the costumes to the sets. 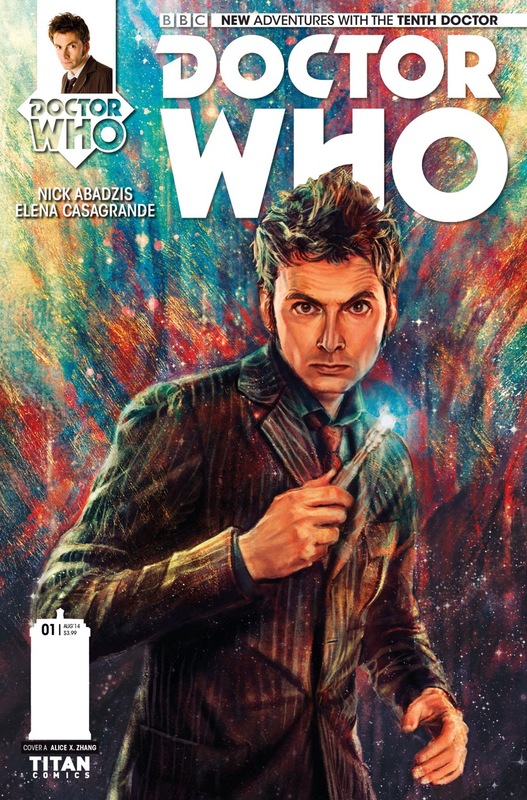 Also, whoever does the voice of the 10th Doctor needs to be my boyfriend. Like, stat. Check out the video above and prepare to be amazed, amused and astounded. 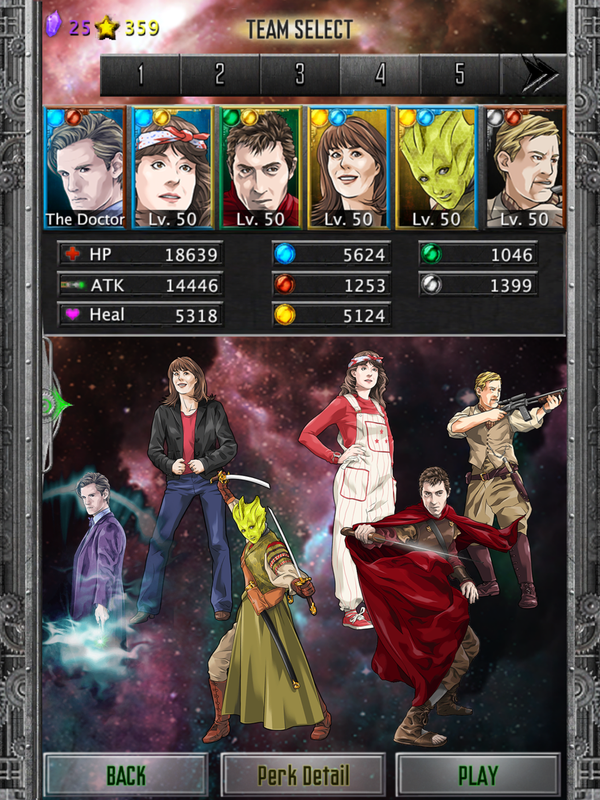 The team over at Tiny Rebel Games have released a title that’s not only actually free-to-play but that’s also engaging, visually-stunning and pays a remarkable tribute to the entire Doctor Who universe. 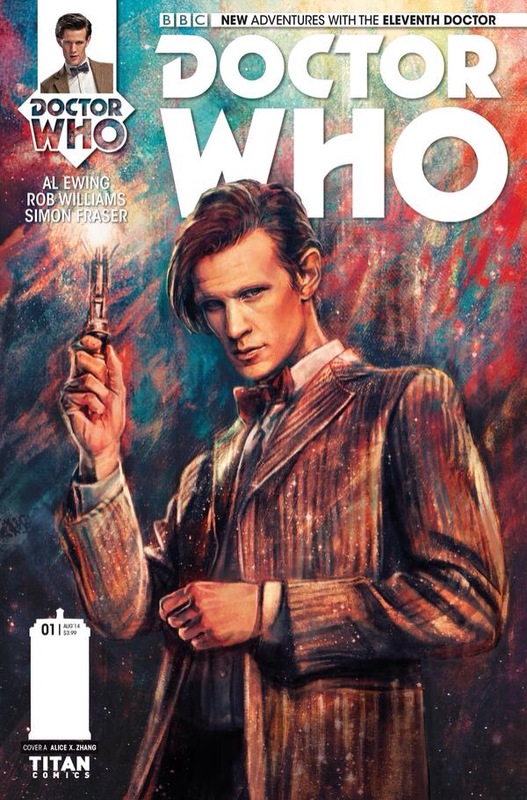 If you are already a fan of this game, like I am, then you may want to check out this fantastic giveaway by the folks at doctorwhogiftsguide.com. And a yet-to-be-released, SUPER-RARE 10th Doctor Alternate Costume code! Note: This giveaway ends in a few days on 9:00AM 28 May, 2014 (Melbourne). Therefore, submit your entries as soon as possible! So, who among my readers have already played this game and what do you think? Are you going to enter this giveaway? Inquiring minds want to know.